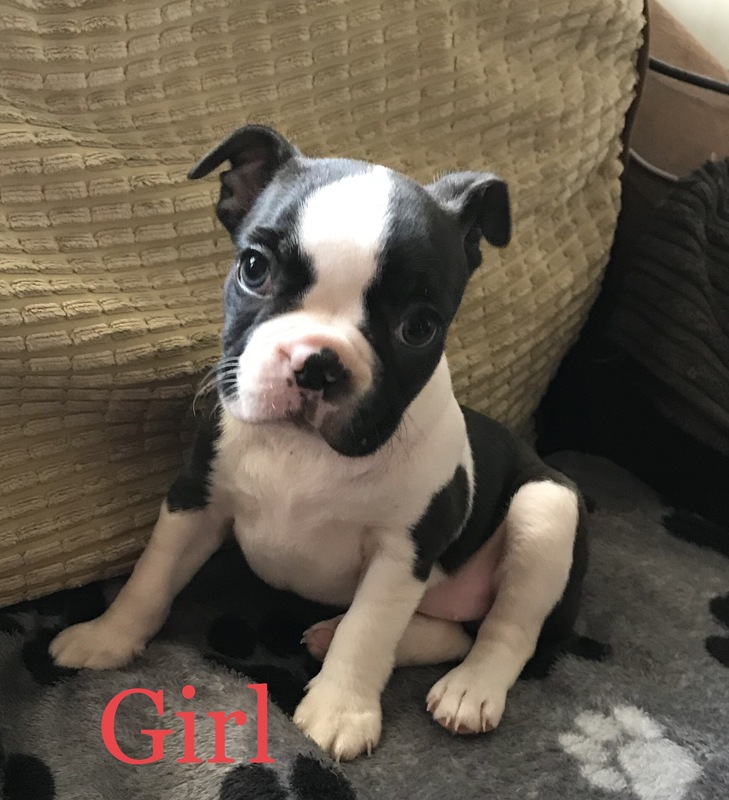 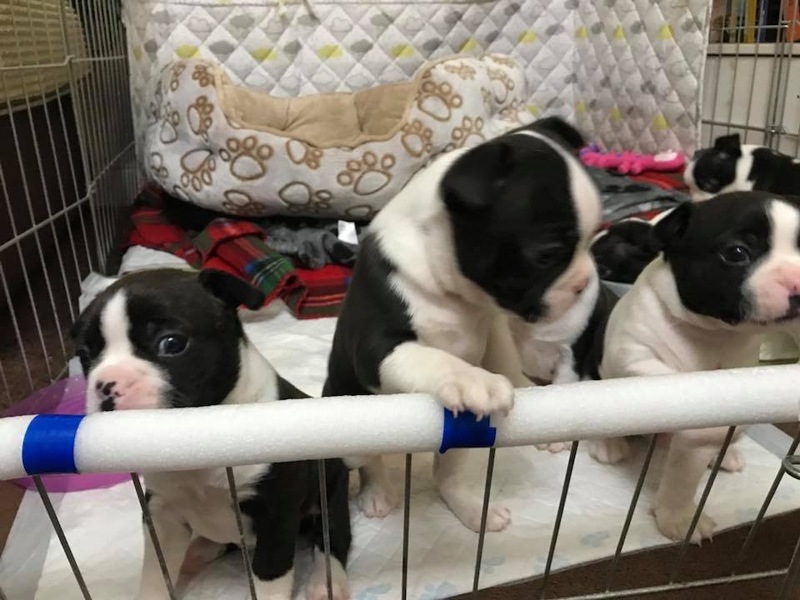 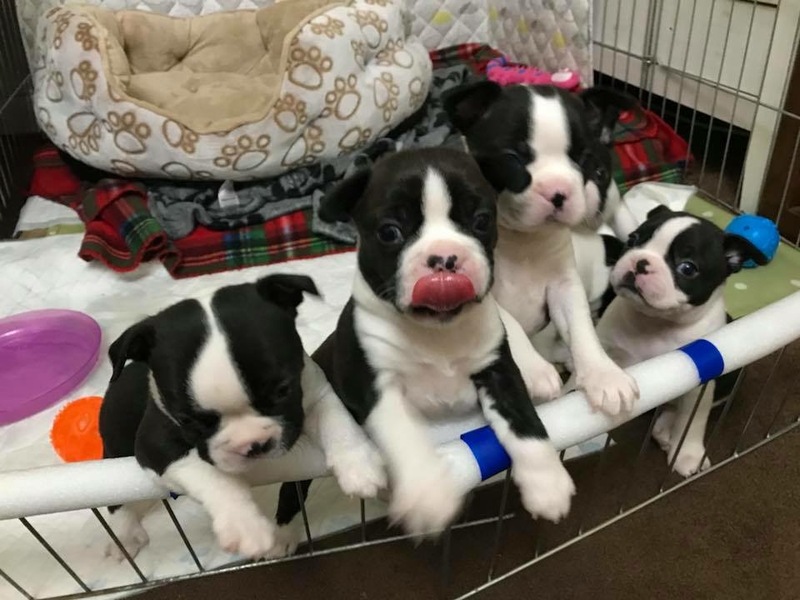 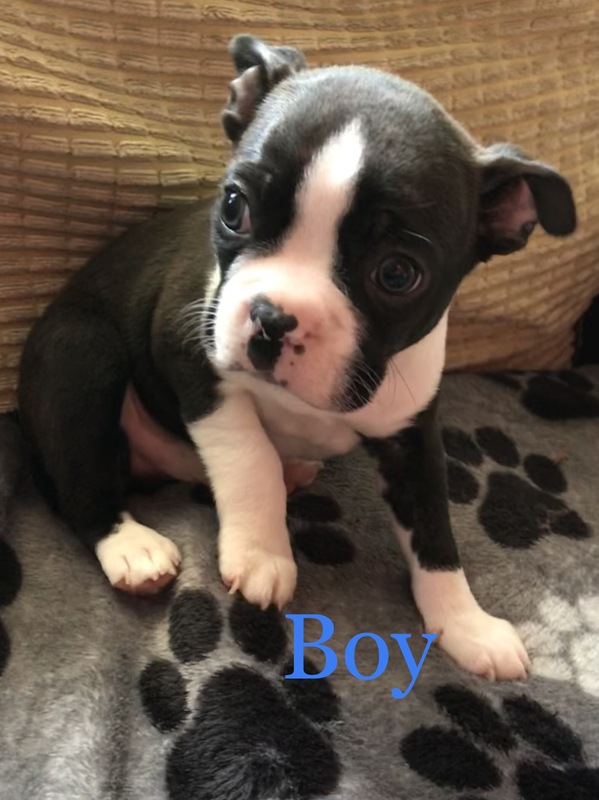 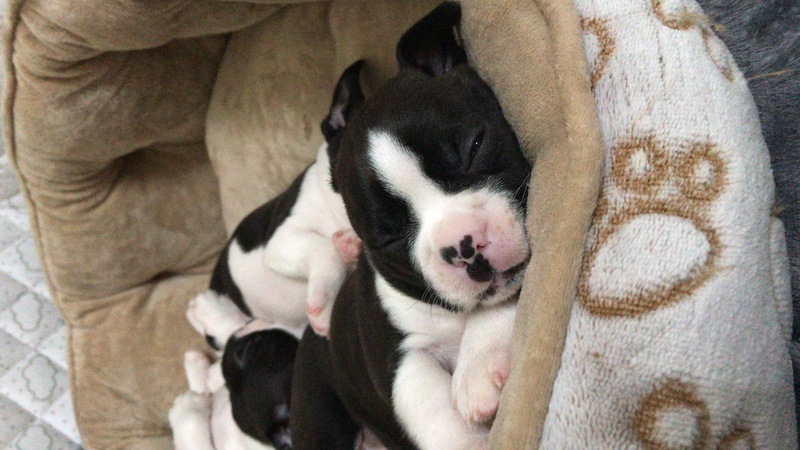 We are glad to offer our beautiful Fur babies, for there new forever homes, They Are a stunning 3/4 Boston terrier, coming from a coming from a family home where they have become used to the family home environment with sounds, smells, and small children. 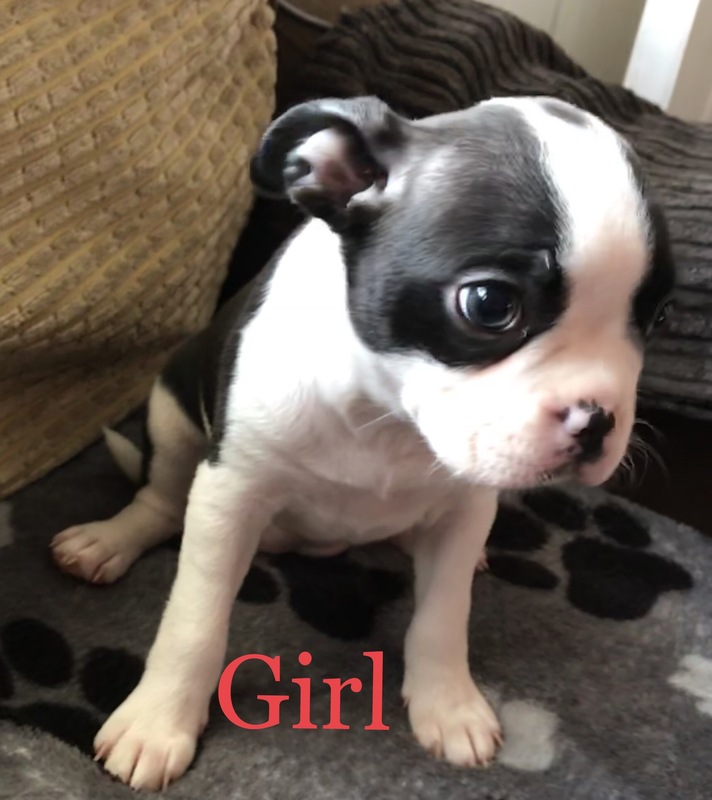 Will be ready to be re homed from the 4th July once they are 10weeks old. 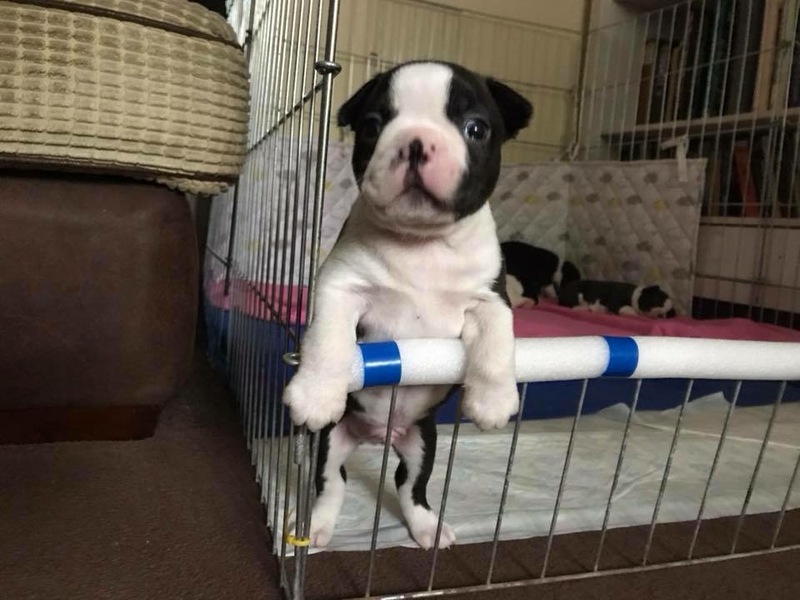 £200 deposit required to secure a pup.